Jamie Lidell continues to be the aural representation of a strawberry dipped in chocolate - yes it looks a bit daft and yes you know it's all a bit 1980's dinner party, but by goodness doesn't it just hit the spot... With the likes of Ninja Tune's Fink failing to ignite any real threat to the boy Lidell, Warp have nonetheless decided to keep things ticking over with this remix 12"; wherein 'A Little Bit More', 'The City', 'When I Come Back Around' and 'Multiply' are pried from the glitterball environs of last year's album and given an idiosyncratic tarting up from Luke Vibert, Four Tet, Freeform Five and Herbert respectively. Opening with the lurching electronic refit of 'A Little Bit More' from Luke Vibert (where the baritone undercarriage is exposed for all to see...), each mix manages to recast Lidell in an entirely different fashion, with Vibert's quaggy offering immediately juxtaposed by Four Tet's freewheeling (and borderline ESG) take on 'The City'. From here, the Freeform Five mould Lidell into a high-kicking disco monster for the thundering dance floor behemoth 'When I Come Back Around', whilst 'Herbert' refrains from any overt macro-trickery for a claustrophobic reading of 'Multiply'. 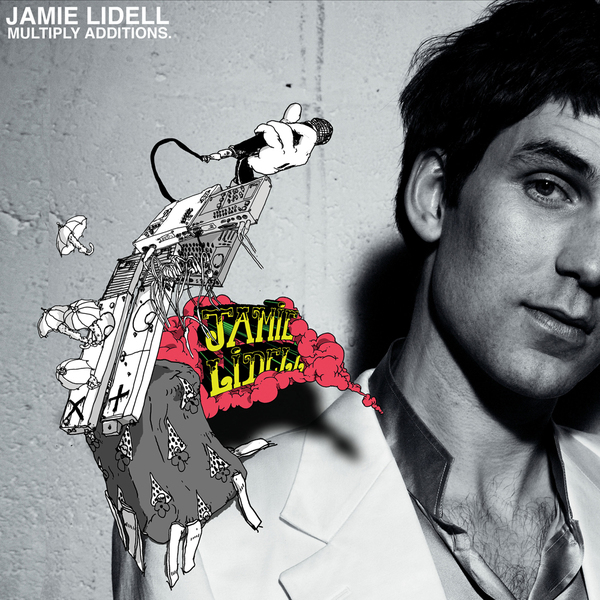 Looking on the cover how you'd imagine Pete Doherty to appear in a film of his life were Jude Law to be cast as the smack-urchin, Jamie Lidell has somehow made me like him again. The swine!